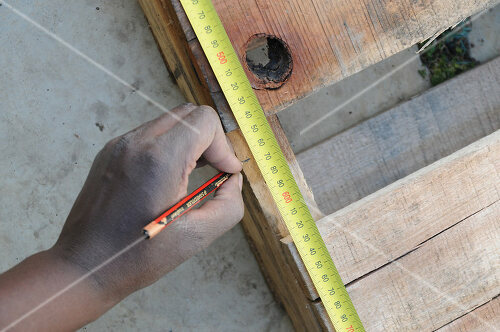 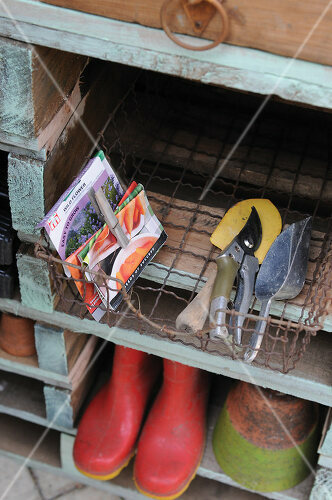 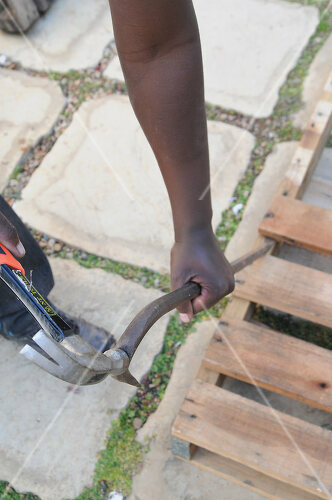 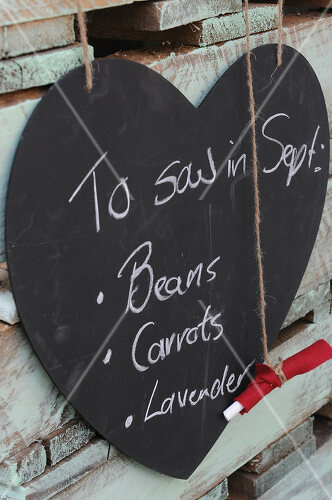 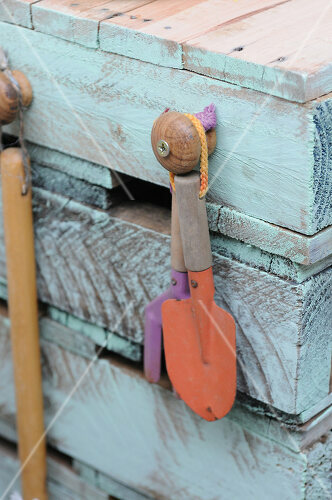 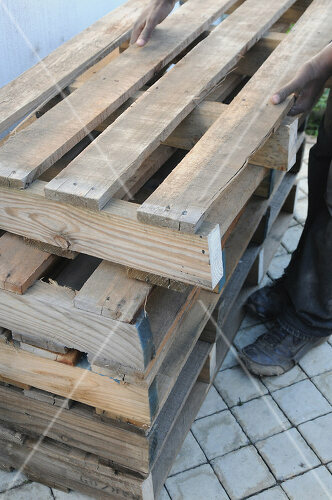 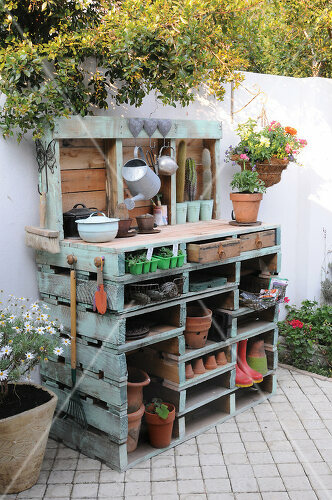 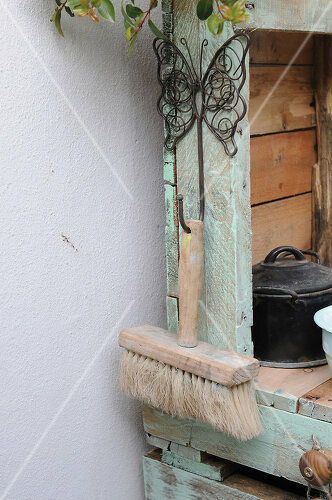 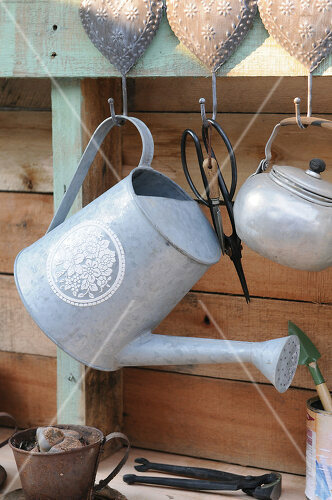 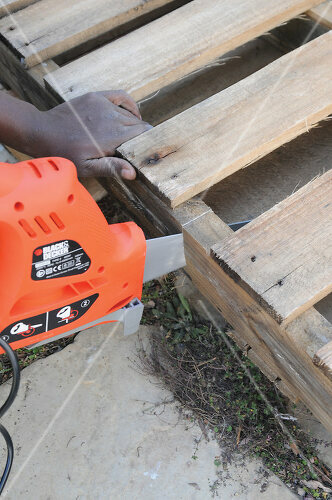 You won't need more than a few used wooden pallets to make a practical garden work bench. 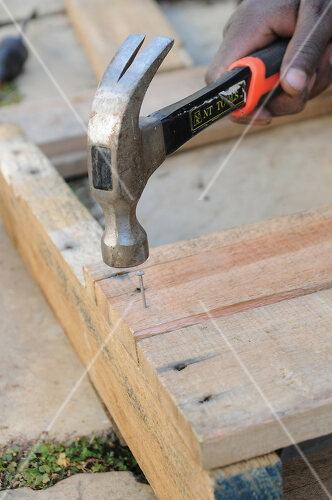 To make: cut the pallets in half, stack them on top of one another and remove most of the horizontal boards in order to form compartments. 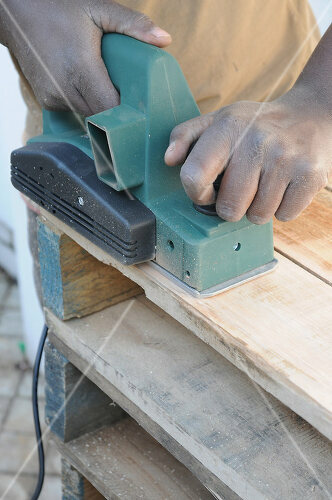 For the table top the wood is nailed close together and sanded. 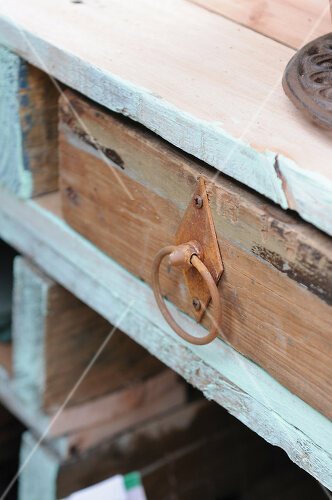 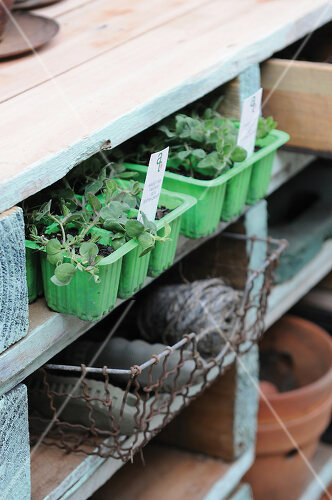 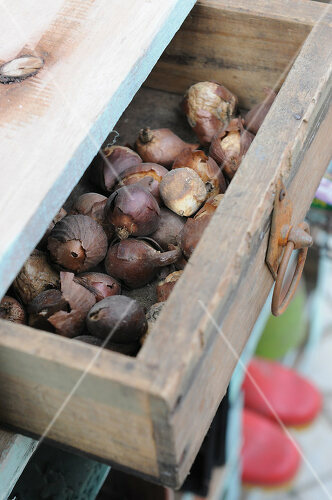 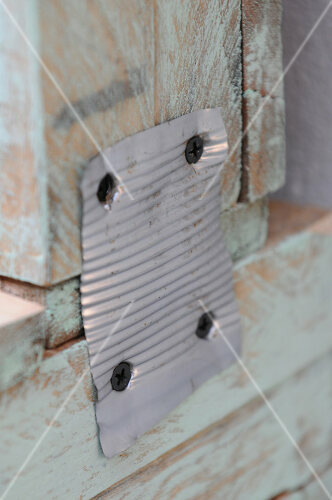 Old drawers can be used for practical storage space.